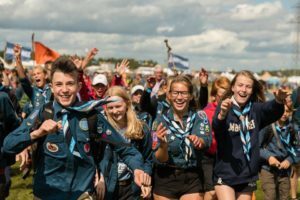 Jamboree17- Love, confidence & respect! From 5- 12 August 2017, 11,000 participants from 20 countries in Europe, Asia and Africa came together for the Guides and Scouts of Sweden national Jamboree. 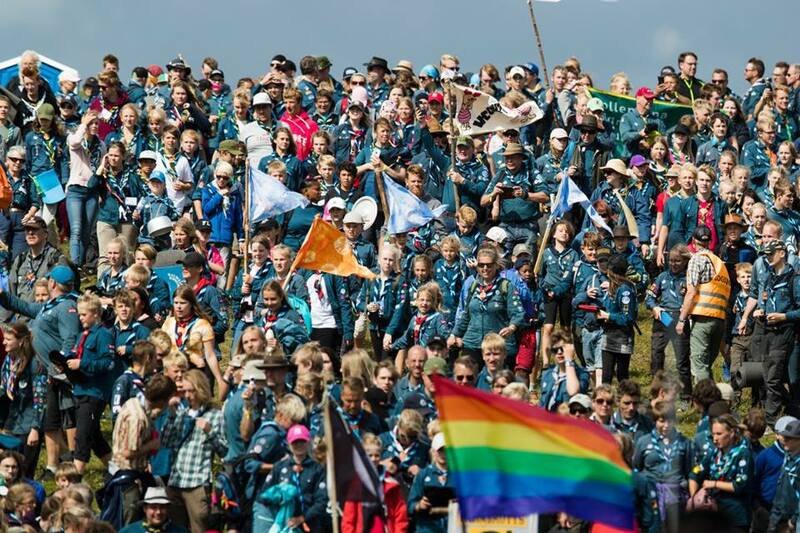 The event took place in Rinkabyfältet, in the south, with another 1,400 of the participants who had never tried Scouting before joining on a daily basis from the local community. During the week, the participants completed small and big challenges designed around the themes openness, self-confidence and co-creation. 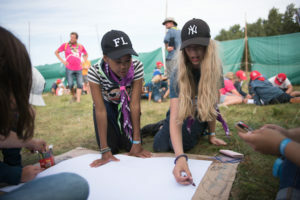 One of the main activities at the Jamboree was the Free Being Me programme. Since the participants had to take action and carry out their project during the camp, the interest and attention directed towards Free Being Me became a lot greater than we could ever have anticipated. The participants made sure to spread the word and message both at the camp to other Scouts and Guides but also externally through social media. At the closing ceremony we put together a short film to show how self-confidence and Free Being Me had made the camp even better, cooler and more open. Free Being Me contributed to the framework in a very good way and no one was left unaffected by the hundreds of notes and post-its with messages of love, confidence and respect put up by participants all over the camp, or by the beautiful portraits painted to illustrate role models. There were even songs written about Free Being Me during the Jamboree! Free Being Me was a huge success and of interest even from our guests. His Majesty the King of Sweden Karl XI Gustav visited the Jamboree and asked specifically to visit the Free Being Me activities and learn more about it. Several newspapers wrote articles on Free Being Me and the activities carried out. During the Jamboree 3304 young people aged 8-15 participated in Free Being Me and many more through the Take Action projects received the message that they are perfect just the way they are. What are body confidence and self-esteem?